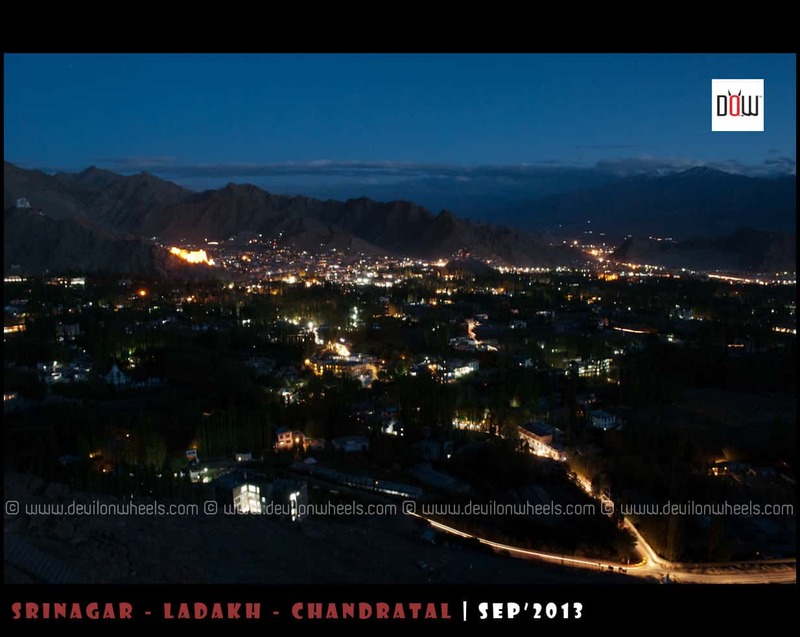 It was cold night in Leh with cloud cover surrounding the air whole night. The rooms were warm and cosy though and thankfully almost all of us had good night sleep at High altitude which was the best sign. As I woke up, ordered some team and checked with everyone in the group about their well being. 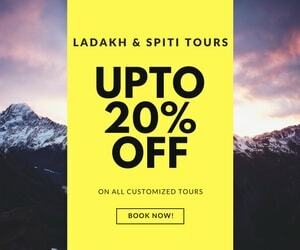 There were just 2 guys from Bangalore who were suffering from uneasiness, so we asked them to take ample of rest as it was the day for rest, permits and some local sightseeing in Leh for all of us. I got a call from Tapan ji, staying in other hotel and we decided to meet out of Permits office around 10 AM to get the permits done. I asked Bhupinder and team to join there too around same time so that all permits can be done together. Rigzin also joined in after an hour or so and we decided to go out with just biscuits and tea in the stomach. 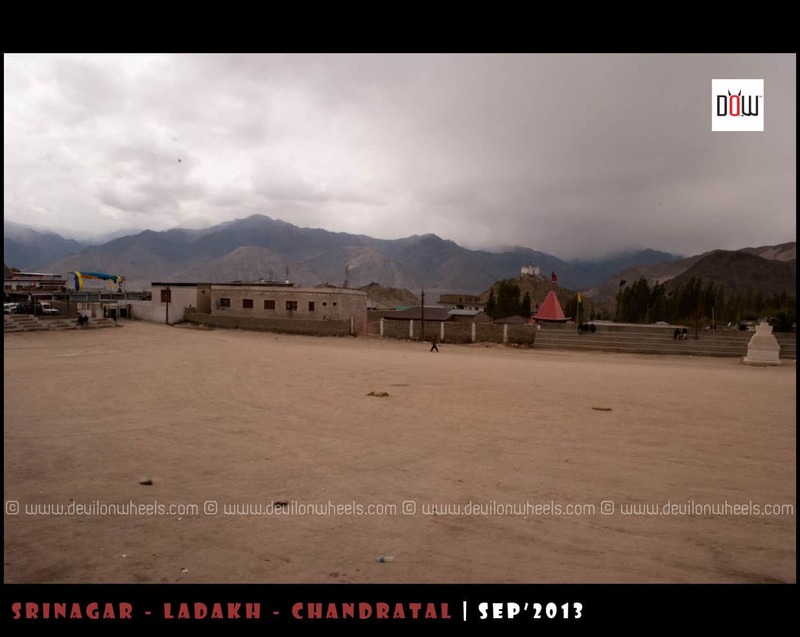 It was a cloudy day in Leh which meant nothing but cold conditions. I was restless as I wanted to reach Leh Main Market first and start my hunt for Nikkor 18-55 Lens. Rigzin could sense my restlessness and stopped the car in the market guiding me with some shops. Hurriedly I got down and started searching out for lens. Went in shop 1, “No” was the reply, then second, then third and then fourth… all negative 🙁 😥 … Then one guy came out of shop and told me to check couple of shops on Main Road. I went out and first one negative, second one again the first impression negative. Then I asked him there is this box of D3100 with you and if you can sell me just lens out of it without body. The guy said “Ohh !! I forgot there is a lens there in it, no body though” 😀 😀 … I was like the happiest soul at that time. Someone had just bought the body from him and never came back to get the lens. I asked him the price and he offered Rs 4500, which at that considering for me was a great deal as I was least bothered of the price. I clicked some snaps to check its functioning and off we go. 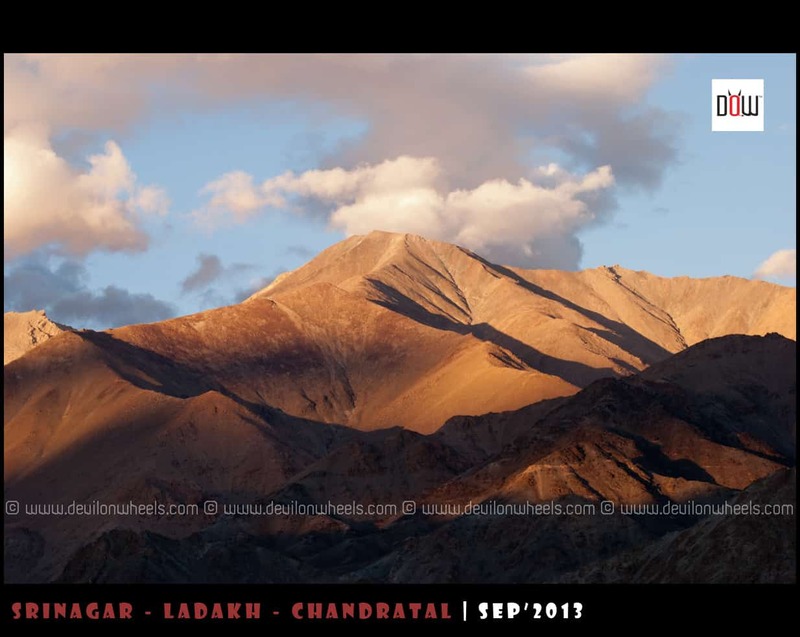 All of us got through the permits process and all was set to this DoW Mega Adventure in Ladakh. In between a lot of people including Rigzin and others suggested Bhupinder not to try Ford Fiesta in the roughest of terrain we are up for in the adventure trip. I had already warned him and he was OK with the fact that he would return the moment his car will seize to move ahead. 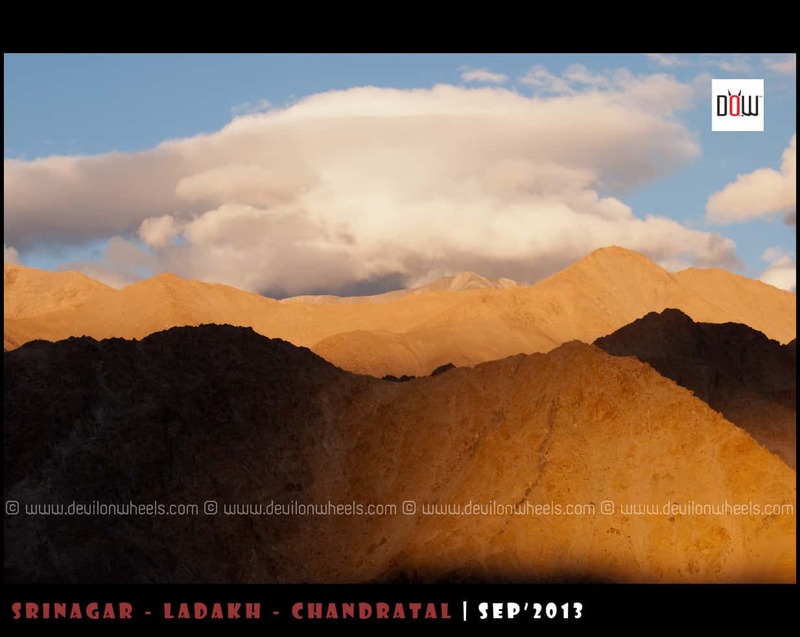 But, I felt what he was not understanding is that it will mean end of journey for two of his partners too 🙁 :(… Anyways, a lot was suggested to him that to park his car in Leh and take taxi to cover at least everything with us in Ladakh and finally come back from Tso Moriri to take his car back home… He was still confused. It was around 12.30 and we all were hungry to eat something. Rigzin took our leave along with Tapan ji, Bhupinder’s team and promised to meet in the evening to take us to Shanti Stupa. It was cold and 3 of my companions were with me walking on Fort Road in Leh. We wanted to visit Gesmo Restaurant, one of the finest places to eat in Leh. 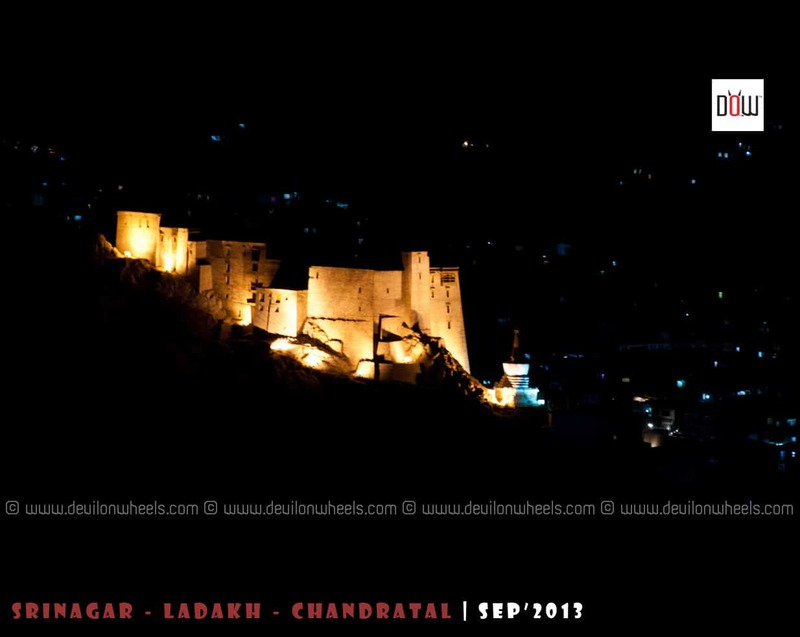 You can find some more such good places to eat in Ladakh at the link: List of Good Restaurants in Leh – Ladakh | Restaurant Reviews. Finally, after a long walk we reached Gesmo and had Yak Cheese Pizza too along with other regular stuff… It tasted fine as usual and we were all set to leave for hotel and take rest. Our hotel was at Shanti Stupa road and it was long long walk from there. Totally exhausted, we reached hotel finally. 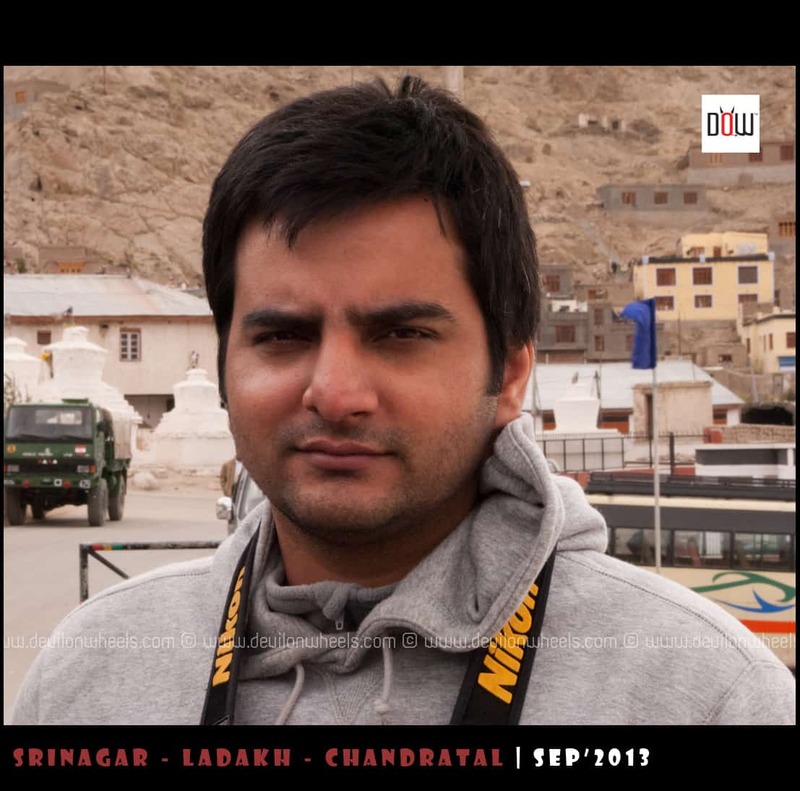 In between, Saurabh and Shakti also bought Ladakhi Warm caps for them. 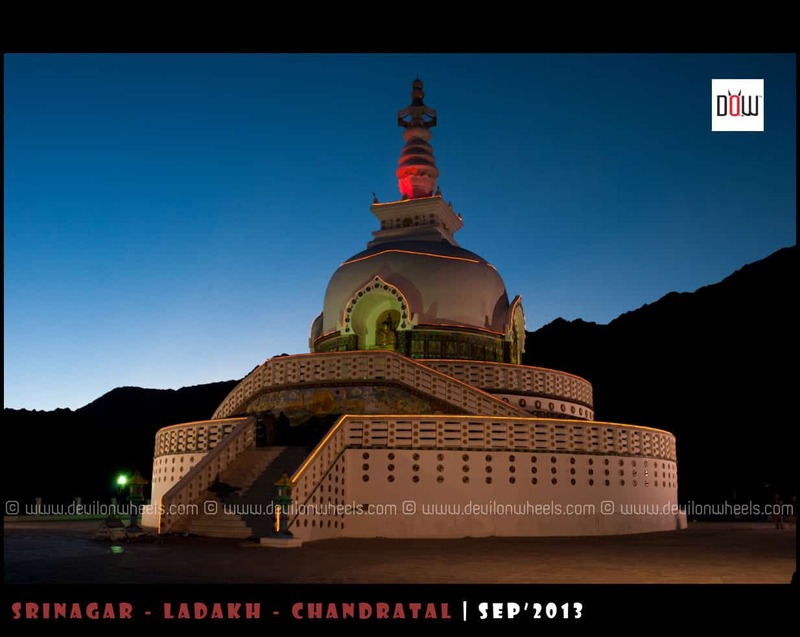 At hotel, some were resting, some chatting in the garden having tea, some had gone out for local sightseeing or shopping in Leh as we had no plans to return back to Leh in our itinerary 🙂 … We relaxed for couple of hours before Rigzin arrived in the evening to drop us at Shanti Stupa. Well, as we reached it was the first time I took the road up to Shanti Stupa as I had always used stairs to climb up. When we reached up there it was one hell of a place with so many people around. There were participants from Nikon School who were scattered on every corner for their photography class with heaviest of gears 😀 … Most of them preparing Time Lapses !! 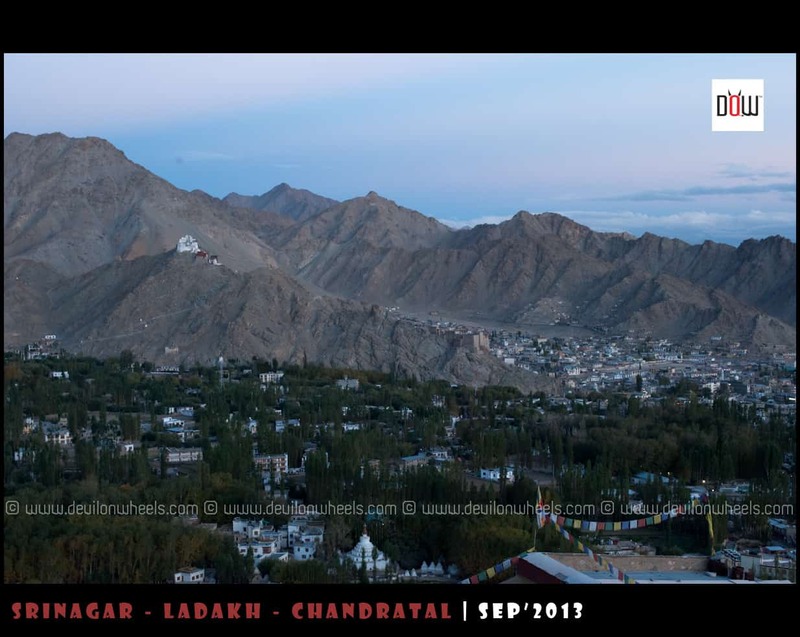 In one corner, we could find space and started to wait for the dusk lights to fall because this time I want to capture the dark lights of Leh, Shanti Stupa and Leh Palace from the top. The cold wave was bone freezing and we were like almost shivering. Most of the people had gone away with the last light of day leaving only few nerds like us behind 😀 … Now it was time for some fun and experiment for amateur souls like us. 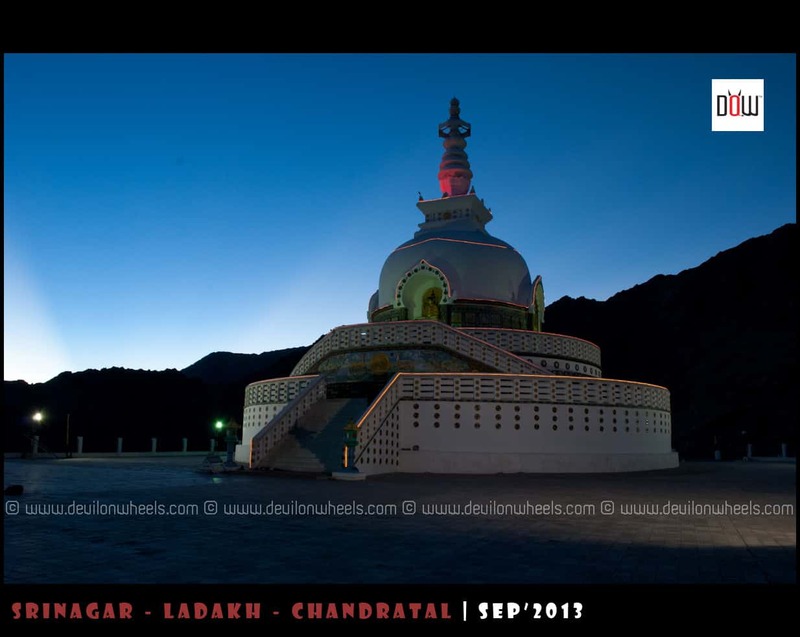 We clicked some shots of Leh Palace, Shanti Stupa and Leh in dark light and started climbing down the stairs. 1.can it be done in ten days. 2 can it be done on shared taxi. 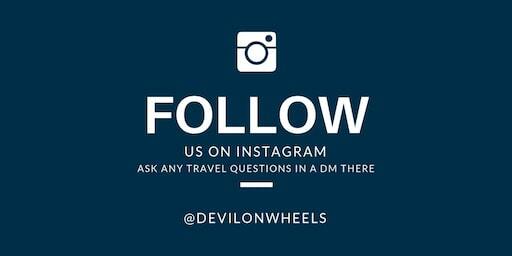 Please advise me regarding my trip. 1. It will take 4 days to reach Leh from Srinagar side starting from Delhi and 3 days to come back from Leh from Manali side to Delhi. This makes it 7 days. 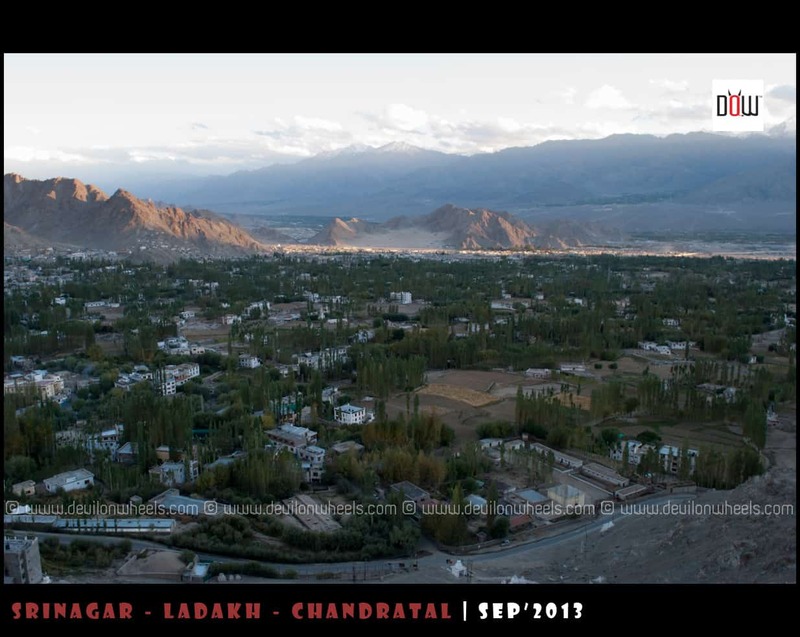 1 Day is required in Leh for acclimatization. You have about 10 days. 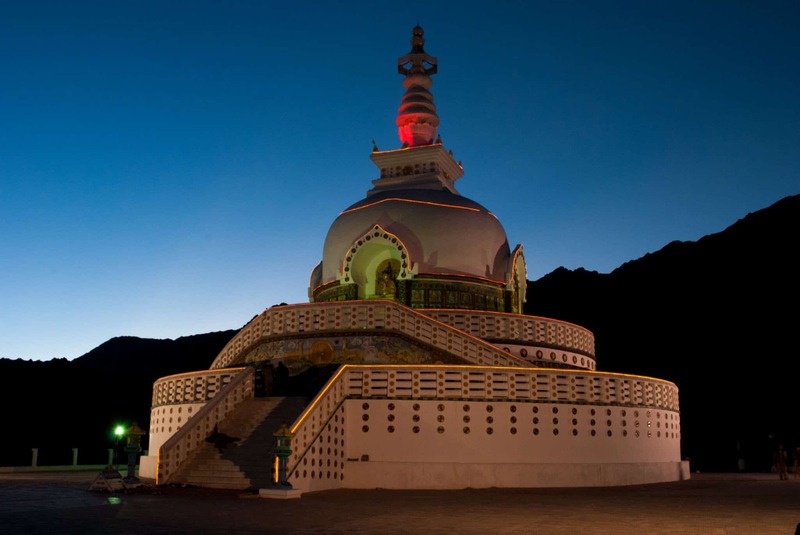 1 Day can be used as Day trip to Pangong Tso and other day can be used as day trip to Nubra Valley or just Khardung La pass. 2. Yes, provided you get it everyday. 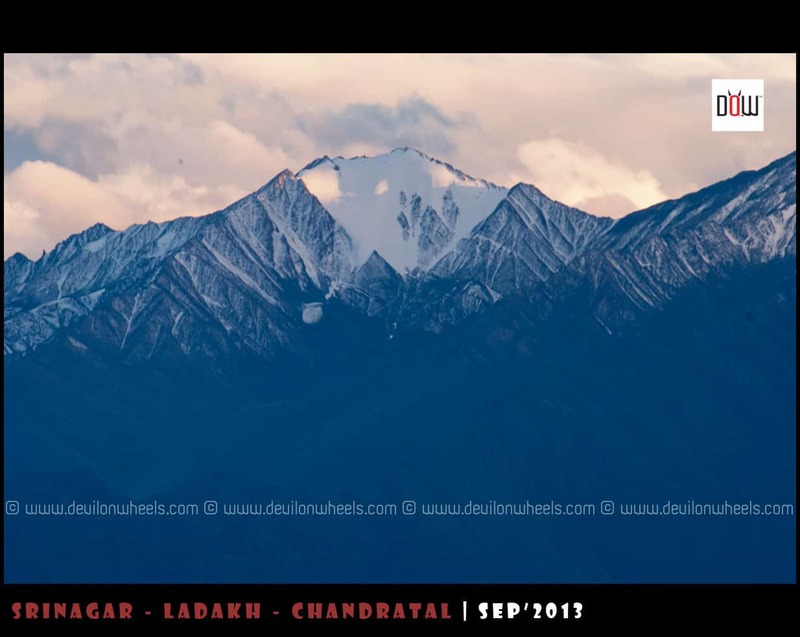 4 of us are planning to make a trip to leh from kerala by road….starting on sep 12th, reaching manali on sep 17th,& back from leh on 25th sep.
Nikhil, yes there is official date of closure of Manali – Leh Highway and it is mostly mid of October or End October. However, rarely people travel on manali – Leh Highway post second or thrid week of October. September end too becomes a bit risky as highway might get closed for few days if it snows. So, take a call after checking the weather conditions else have a buffer day at least. Carry heavy woolens. 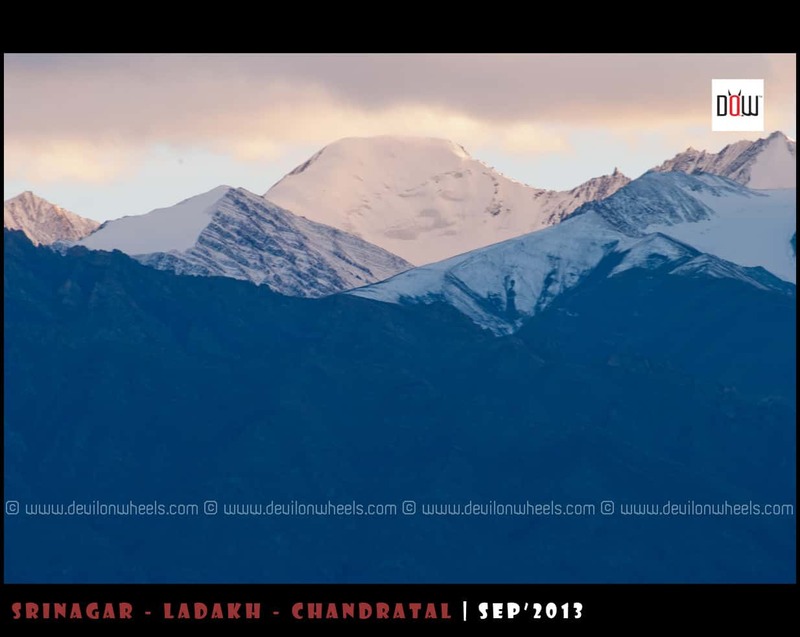 Vijay, DoW has started an initiative under DoW – Himalayan Travel Community for finding Travel Partners or Companions, leave your message in Travel Partners section at the link: Ladakh & Zanskar – Travel Partners Section. There is also a DoW Travel Calendar linked here which can be used to easily and quickly spot a travel partner with similar dates of all the people looking for Travel Partners for their trips. May be you meet someone online going over the same dates. 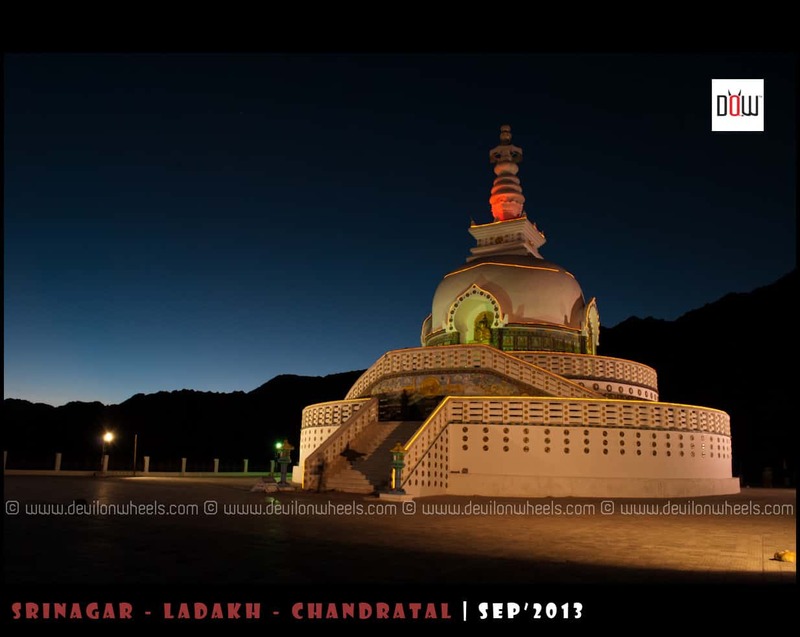 Amazing pictures, Shanti Stupa looks beautiful in all its different hues..